Fundamentally we lie because of this social desirability bias. We lie to manipulate and control what other people think about us. We want to create a better version of ourselves. We are worried about people knowing what we are really like, and so we try to manage the truth to prevent that happening. 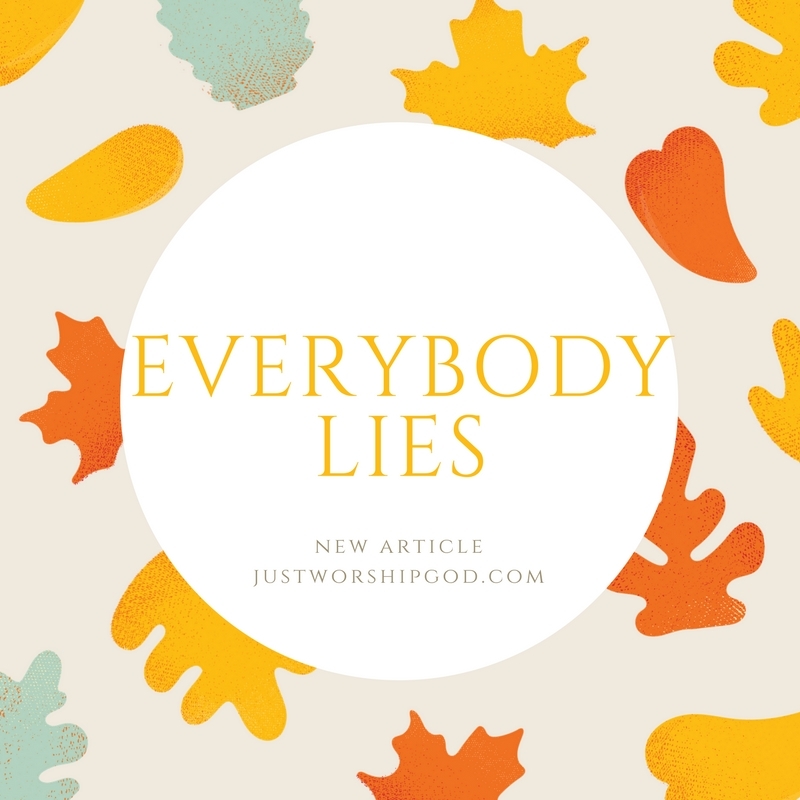 What does God say about lying? He tells us not to do it in the 10 commandments. He is pretty clear that He hates it (eg Proverbs 12:22). The devil is described as the father of lies (John 8:44). Sin enters the world through a lie about God and, as soon as sin exists, Adam and Eve start manipulating the truth. But while that is helpful in diagnosing the problem, how do we stop doing it? We can see truth levels in our lives increase as we look to THE truth - Jesus. We lie to hide the parts of ourselves we don’t think are fit for public consumption - he knows all those parts of us, even the parts we lie to ourselves about. We lie to make people believe something about us - he knows us inside out. In a way, our worst fears have become reality, somebody has seen us completely unfiltered. But, in full knowledge of that, Jesus loves us. He loves us so much that he died in our place, for our lies. He then rose from the dead to free us from sin. We are no longer enslaved to the web of lies we’ve created. The reputation that we’ve worked so hard to manage has been busted, but all the those things we were ashamed of have been dealt with. Rather than telling ourselves we should not lie, we can tell ourselves that we don’t need to lie. We can be secure in Jesus’ love as we are being transformed into his image. they shall do no injustice and speak no lies, nor shall there be found in their mouth a deceitful tongue.